Fish oils are a good a source of essential fatty acids like Eicosa Pentaenoic Acid (EPA), Docosa Hexaenoic Acid (DHA) and omega 3. Recent studies have shown that fish oils can help in reducing heart problems like high blood pressure and abnormal heartbeats. It also reduces the growth of arterial plaques which can lead to narrowing of the arteries and increase the risk of heart attack. Health experts are of the view that people can take 1 g of fish oil that contains both DHA and EPA every day. However, since fish oils can have adverse affect on the health of certain people, you must consult a healthcare provider before taking any fish oil supplement. This is a compound that is found mitochondria of heart cells and are responsible for producing energy. CoQ10 help in keeping the heart healthy by preventing blood clots and by improving energy production. Studies have also shown that some people suffer from chronic heart diseases because of reduced CoQ10 levels in their body. In a study published by The Journal of Clinical Investigation, it was found that patients who suffered from congestive heart failure benefited after taking CoQ10 supplements. People who suffered from congestive heart failure, required frequent hospitalization because they suffered from problems like accumulation of fluids in their lungs and irregular heartbeat. Researchers found that patients who were given conventional therapy and 2 mg of CoQ10 everyday for one year had fewer visits to the hospital. Also, incidence of serious complications also reduced after taking CoQ10. Even though CoQ10 can reduce the incidence of heart problems, you must take CoQ10 supplements only after you consult your doctor. Antioxidants like selenium, zinc and copper can help in removing free radicals that are generated when normal biochemical reactions take place in your body. If these free radicals are not removed from the body they can damage the tissues and cells and can cause cancer and heart problems. Health experts are of the view that antioxidants can improve the normal functions of most organs of the body including your heart. This compound helps the mitochondria in your cells to produce energy. Carnitine is made naturally by your body using two essential amino acids methionine and lysine. Both these amino acids are found in abundant quantities in red meat. Studies have shown that depleted levels of carnitine can lead to heart attack. When patients were given carnitine orally or by injections, it protected their heart and prevented heart attacks. Supplementation helped in reducing the toxic effects of acids and improved the metabolism of carbohydrates. All organs of the body including the heart need magnesium. It helps in maintaining the normal rhythm of your heart and reduces the symptoms of congestive heart failure. 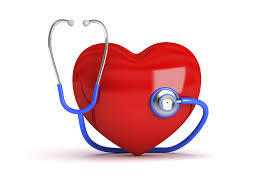 Magnesium supplements also help in reducing the risk of high blood pressure. Even though the supplements mentioned in the article help in reducing heart problems, you must take these supplements only after you consult your doctor.